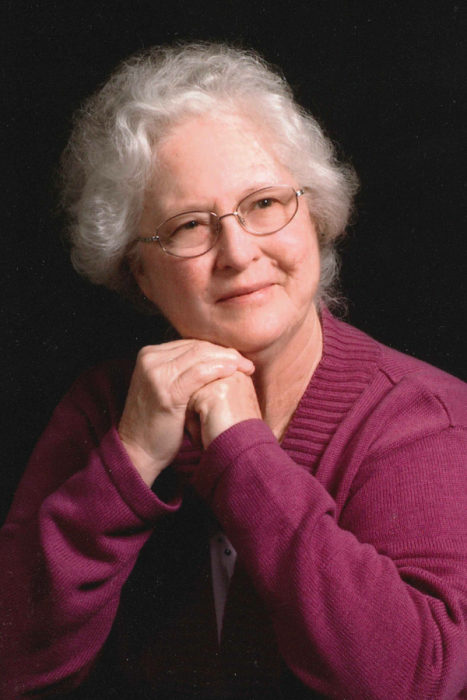 Carolyn Sue Lewis, age 81, of the Vale Community, went home to be with the Lord on Saturday, January 19th, 2019. A native of Welch, West Virginia, she was a daughter of the late Dennis and Edna Benfield and wife of the late, Stuard Lewis. She was also preceded in death by a brother, Chester Benfield. Sue was a member of the Church of Jesus Christ of Newland who loved to read, adored her children. Her family was of great importance to her. In Sue's own words: "I was born a coal-miner's daughter in a cabin on a hill in West Virginia to Edna Napier Benfield and Dennis Victory Benfield on December 25th, 1937. My mom delivered me at home with my dad administering the "ether" dropped on a cloth on her face. My grandmother Napier was also there. I believe my parents liked their Christmas "present"! We lived in West Virginia (Welch) until 1940 and by that time I had a baby brother, Chester Morris Benfield. After he was born; they decided to call it "quits" - wonder why? ha.. My father's mother told my dad if you marry up there; "keep her up there". So, they started married life in West Virginia! Not long afterward, Dart Benfield, (Paw's Brother) got his back broke and died in the mines! Boy, then my maw was ready for dad to come home! Which we did in 1940 and I'm eternally thankful. (I didn't like West Virginia)." Left to cherish her memories are her children: Kaye Baker and husband, Tommy, of Winder, GA, Rick Lewis of Newland, Dennis Lewis and wife, Jan, of Elk Park, Gil Lewis and Sunni Buchanan, of Roan Mtn., TN and Lori Lewis of Asheville; grandchildren: Heather Lewis (Aaron Messer), April Ritchey (Chris), Layce Lewis and Matt Lewis (Laura); great-grandchildren: Grayson and Lincoln Ritchey, Cade Palmer and Baker Clark, Lyndie Lewis and one on the way and sister-in-law, Elaine Benfield. Several other extended family also survive. Funeral services will be held at 7 p.m. on Wednesday, January 23rd at the Church of Jesus of Christ Newland. Pastor Dave Atkins and Pastor Tommy Baker will officiate. The family will receive friends from 5 until 7 p.m. prior to the services at the church. Graveside services will be held at 11 a.m. on Thursday in the Church of Jesus Christ Cemetery. Memorial donations may be made to St. Jude Children's Research Hospital at PO Box 1000 Dept. 142, Memphis, TN 38101-9908 or you may visit their website at loveshriners.org.